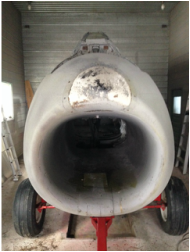 December 31 2013: My friend Rick West is hard at work restoring Sarnia's F-86 Sabre Jet back to it's original colours of the famous Golden Hawks jet demonstration team. 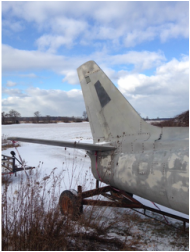 The jet had sat for many years elevated on a pylon in a Sarnia park where the elements had taken their toll. The original plan was to paint the aircraft in silver but popular consensus was that it should be painted in the colors of the famous team (red white and gold). Before it made it to the park it had sat in a Sarnia warehouse for a number of years after decommissioning, and was subsequently heavily damaged in a fire that destroyed the building. 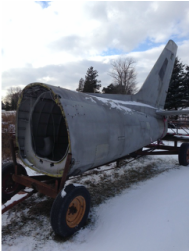 In the course of prepping what is left of the original airframe (essentially just the shell) for display, Rick was pleasantly surprised to discover the original aircraft serial number which confirmed this bird was one of the lead aircraft from the Golden Hawks during their glory years. 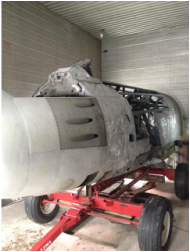 Numerous Sarnia businesses have pitched in to provide everything from paint to nuts and bolts for the restoration and even a new, original canopy has been acquired from another collection at no cost to replace the T-33 canopy which had been placed on the aircraft after the original was destroyed in the fire. Here's what it will look like when Rick gets done with it. This is the one at the Hamilton museum. Back end of the fuselage where the tail assembly normally connects with the rest of the fuselage with only four tabs, two of which can be seen in this shot. 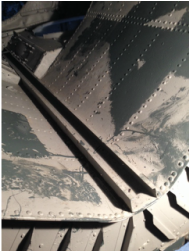 Looking at the back of the fuselage, the ribbed section is part of the fuel tank which is integral to the fuselage. 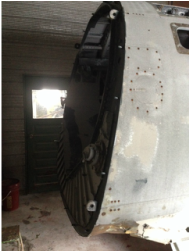 The track where the engine slides in and out for maintenance can also be seen. 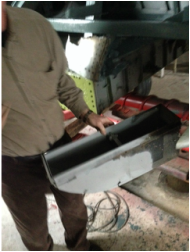 While working on the fuselage, Rick discovered the original ammunition trays for the forward machine guns were still onboard. This seems strange that an acrobatic team would not have removed what would have been unnecessary equipment. I always expected the engine would be held in place by a more elaborate system than this simple steel track which is essentially a beefy version of my patio sliding door, but I guess that's sometimes what makes simple designs the most elegant. 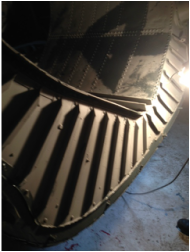 The previous curators of the jet failed to plug the machine gun ports unfortunately, which resulted in the accumulation of about six wheelbarrow loads of bird detritus and it's acidic effect on the aluminum skin. 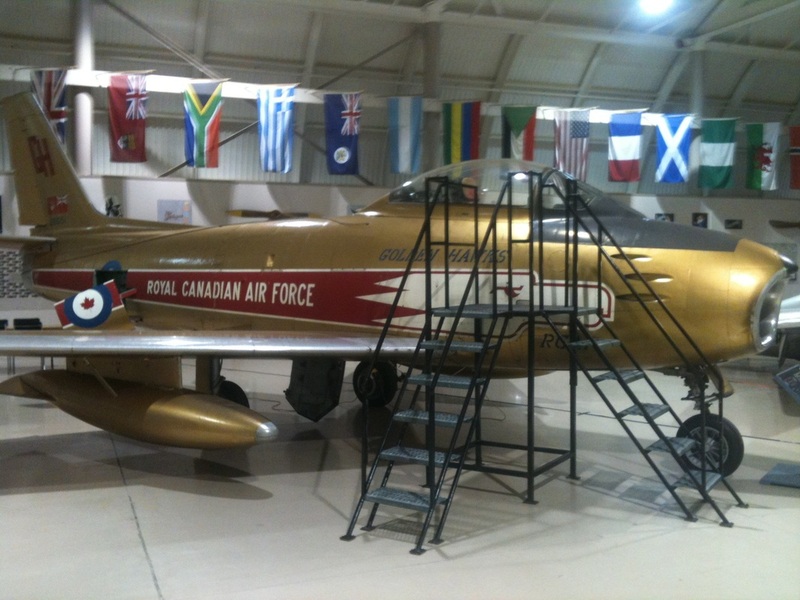 An original Golden Hawk at Hamilton's museum.